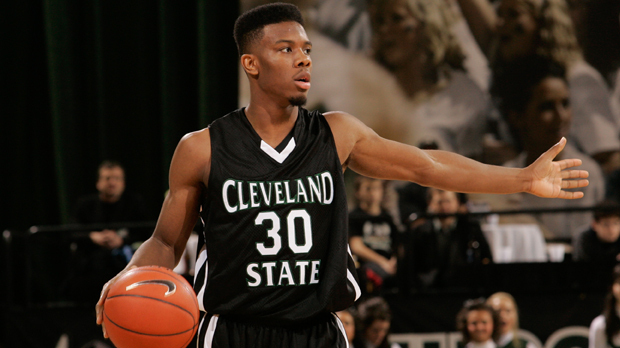 Ever since he can remember, Norris Cole has dreamed of playing in the NBA. He is planning to take a step closer to his dream on Thursday and hopes to hear his name called during the NBA draft (7 p.m., ESPN). Most draft experts have Cole being selected in either the late first round or early second round. "I'm not nervous. I'm just looking forward to hearing my name called," Cole said on Wednesday in a conference call. "Whatever team picks me, I'm going to work very hard and earn the respect of the veterans and the coaching staff so that I can get some playing time and contribute to the team." Cole will watch the draft with his family and friends in his hometown of Dayton. David Aldridge of NBA.com rates Cole the ninth-best point guard in the draft and DraftExpress.com rates Cole the 48th-best prospect. As of Wednesday, NBADraft.net had Cole to Chicago with the last pick in the first round (30th overall). Every other mock draft has Cole going in the second round. Cole says he has worked out for 12 teams. According to reports, Cole has had work outs for the Boston Celtics, Charlotte Bobcats, Detroit Pistons, Utah Jazz, Miami Heat, Chicago Bulls, Houston Rockets, New York Knicks, New Jersey Nets, Oklahoma City Thunder and the Portland Trail Blazers. Cole says that teams were impressed with his defense and that he's a pure point guard. "Playing under Coach Waters you don't get out on the floor unless (you play some defense)," said Cole. "They liked that I have a defined NBA position. They know what they are getting out of me. They know that I'm a true point guard and I can affect the game more than one way." One team that he didn't work out for was the Cleveland Cavaliers. "It wasn't anything personal (with the Cavaliers)," said Cole. "My agent (Joel Bell) set up a workout schedule based on team needs. Once it was set, we just stuck to it." CSU coach Gary Waters told Mike Cairns of WEWS-TV in Cleveland last week that Oklahoma City, Charlotte, Detroit and Chicago have expressed the most interest in Cole and that "the Detroit Pistons are in love with him." "I see Norris as a mid-first rounder to an early second rounder," said Waters. "And I would say closer to a mid-first rounder because every workout that he has had has been pretty good. I've had two coaches say we didn't know he was that competitive." A three-year starter, Cole finished his CSU career as the third all-time leading scorer in school history with 1,978 points and was the first Viking player to receive AP All-America honors since 1986. The Horizon League's Player of the Year and Defensive Player of the Year was the only player last season to average at least 20 points (21.7), five assists (5.3) and five rebounds (5.8) per game. Cole says he will never forget his time at CSU. "(CSU) helped me propel me to this point," Cole said. "The most things that stick out are the times with the fellas off the court in the offseason when no one's around. That's the time I remember the most. We had a lot of good memories." 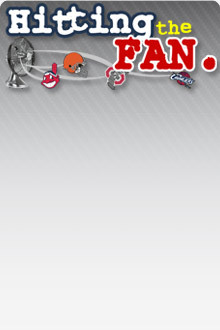 This article also appeared at the Bleacherreport.com.